Oscar, an overlooked and bullied boy, finds love and revenge through Eli, a beautiful but peculiar girl who turns out to be a vampire. Taglines: Eli is 12 years old. She's been 12 for over 200 years and, she just moved in next door. The title of the film (as well as the novel upon which it was based) refers to the fact that, according to myth, vampires must be invited in before they can enter someone's home (this is shown in the film when Eli asks Oskar to invite her into his apartment). 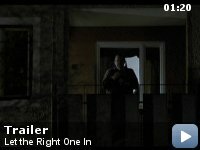 The English-translated title of the book and film, "Let The Right One In", is taken from lyrics to the song "Let the Right One Slip In" by Morrissey. Oskar: Squeal like a pig. So, squeal. 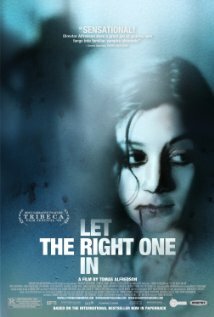 Let the Right one In is like no other vampire movie that I have ever seen. It is smarter, scarier and more nuanced. It doesn't feel like a thriller, it feels like literature. The film, which details the bizarre misadventures of a pair of pre-teen star crossed lovers, one of whom is an androgynous vampire, is phenomenal in almost every regard. The details of young Oskar's (Kare Hedebrant) life are spot on. 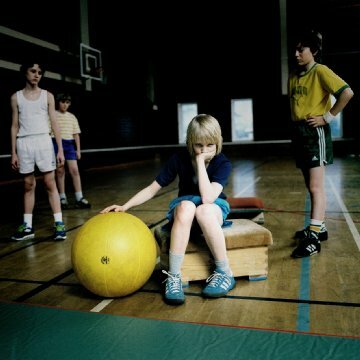 Stuck in that incredibly painful period of post-childhood, pre-adolescence, Oskar is aware of girls, but has no idea how to contend with them. He is small for his age and is brutalized by other boys as a result. He's terribly alone and collects news clips of violent crimes as a way of letting out his rage. One day a strange young girl named Eli (Lina Leandersson) appears on the playground. They become fast friends and things begin to look up for Oskar. Eli even (innocently) spends the night on occasion. Meanwhile, we are privy to some things that Oskar doesn't know. As it happens, Eli's caretaker is a serial killer of the most brutal order, desanguinating his victims into a bucket. Soon, Oskar comes to realize that his new friend is a bit more than she seemed at first. After a tragedy of shocking violence Eli is left to fend for herself, trying desperately to stave off the urge to drink fresh blood while also forming a delicate new bond with Oskar. 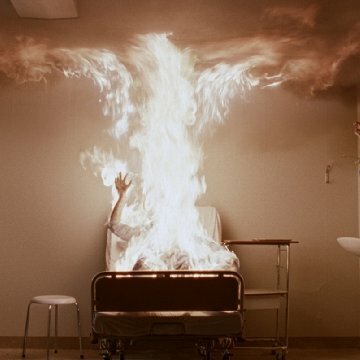 There is already a remake of Let the Right one In on the way. But don't wait for it. There is no way it could ever hope to capture the magic of the original. It's not just that this film is gorgeously shot. Not just that it is impeccably written. Not just that it is fully realized with an unmatched respect for vampire lore. It is all in the acting. Even if the producers find two amazing young actors, the odds against recapturing the brilliant, melancholy chemistry are astronomical. 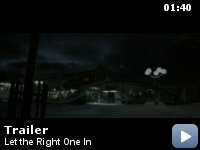 Everything about Let the Right one In is thought through. Where a more traditional horror film might have opted for endless ultra violence or else cut everything out in favor of a kiddie friendly rating. 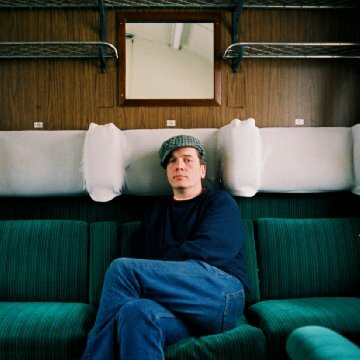 director Tomas Alfredson steers the line right down the middle. When the violence comes it is brutal and horrific, but it is never dwelt upon. We are left to question what we just saw rather than see kidneys on display. Too, there is a great stillness to the film. The first half of the film it mimics Oskar's stage. Stuck in between. Never moving, with no hope of growth. But as things begin to change, it becomes apparent that the stillness is not for Oskar but rather for Eli. Oskar will grow up, change and become a man. Eli is stuck in a much more burdensome fate. And then there is the quiet, understated ending. Some will find it haunting, others will find it whimsical, I went back and forth more than a few times. No two people will have the same understanding. This is the kind of movie people beg for. Don't miss it. This is the first time since perhaps Silence of the Lambs that a horror film had a real chance to take home some Oscar gold. And not only that, it will deserve it.